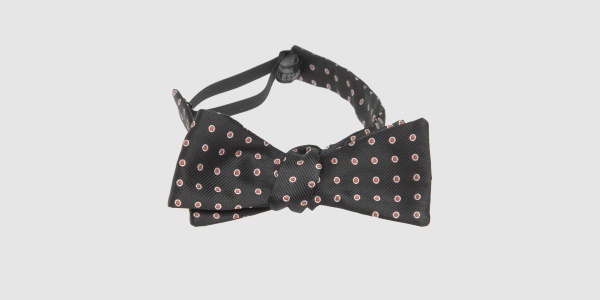 Daniele Alessandrini Homme pricks at your inner dandy with this red dotted bow tie. Unfortunately a pre-tied tie, we can’t fault the design and pattern however, with subtle red and white dots on a field of dark navy, creating a beautifully dapper tie. Available online now. This entry was posted in Accessories, Ties and tagged Daniele Alessandrini, Daniele Alessandrini Homme, Tie. Bookmark the permalink.